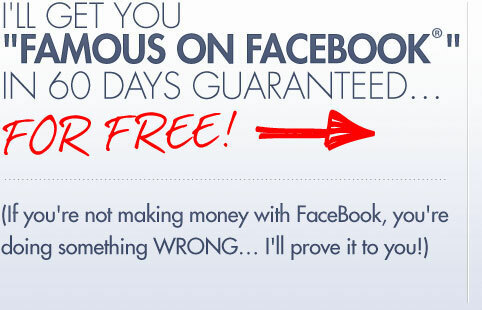 Free FaceBook Training To Become Famous In 60 Days! anyway distribute your private information. This FREE Webinar Will Ensure You Make Money with FaceBook in 2012 and Beyond! Where FaceBook keeps their coveted "FaceBook PhoneBook," and how you can get instant access to HUNDREDS of leads you already generated, but didn't even know you had! A crazy slick Google Chrome plug-in for FaceBook that will save you HOURS of time. How they leveraged FaceBook to get a blog ranked in the top .1% of websites in the world! Why they get well over 1,000 unique visitors to their site for free per day thanks to FaceBook. Facebook is a registered trademark of Facebook, Inc. Facebook is not affiliated with this website, and does not sponsor or endorse this website, its content, or services. © 2010 Upward Enterprises, LLC. All Rights Reserved.